This thoughtful and incisive guidebook written by a former animator for Walt Disney Studios will help artists at many skill levels improve their ability to draw a wide variety of animal forms both realistically and as caricatures. advice and tips on catching the essential movement and character of animals and avoiding the stiff wooden poses that are the frequent and unfortunate result of much sketching of animals from life. Throughout the emphasis is on construction drawings (there are over 700 line illustrations and halftones) rather than on text. This means the student is able to view the development process of the drawing by example rather than theory or description. 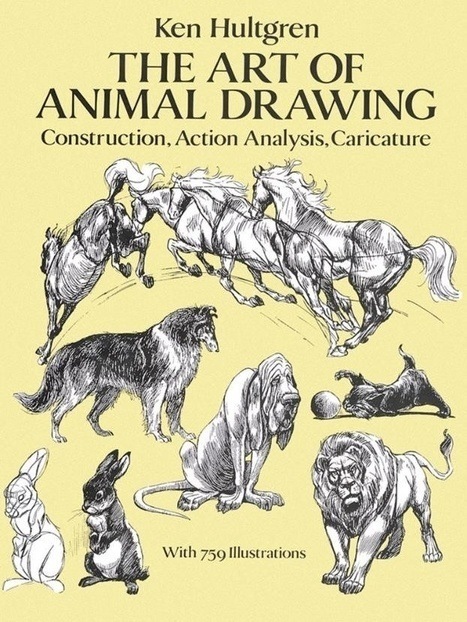 The book begins with introductory chapters on the special techniques of drawing animals the use of line establishing mood and feeling conveying action and brush techniques. Mr. Hultgren then turns to individual animal formshorses deer cats cows and bulls giraffes camels gorillas pigs and many more. His instruction on animal caricature will be especially valuable to the legions of artists avidly interested in the subject. The Art of Animal Drawing belongs in the library of any artiststudent amateur or professionalwho is interested in drawing animals.